Mr. Hersh is one of the leading redevelopment experts in the country, having managed the acquisition and redevelopment of over $250-million in brownfield properties from commercial to heavy industrial nationwide. His experience includes serving as Development and Planning Director for municipalities, Executive Director of a Community Housing Development Corporation and senior real estate executive for a Fortune 100 corporation. He has been a member of Vita Nuova LLC for sixteen years and participated in numerous programs, including real estate training for US EPA and state environmental regulators. 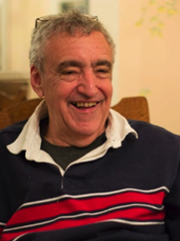 Mr. Hersh’s work includes community planning, resilience and land use controls for communities ranging from small towns to major cities, including Transit Oriented Design projects. He was the first chair of the Developers’ Committee for the National Brownfields Association, is the chair of the Finance Committee for The Waterfront Center, as well as a Board member of the New Partners for Community Revitalization and a national housing non-profit. Mr. Hersh’s research includes work on brownfields in China and Eastern Europe as well as North America, the New York State Brownfield Tax Credit and Area-wide programs, Defensible Space and waterfront redevelopment. Currently Mr. Hersh holds an appointment as Clinical Associate Professor of Real Estate, and Chair of the MS in Real Estate Development Program, teaching graduate courses in development, land use and sustainability at New York University School of Professional Studies Schack Institute of Real Estate. Mr. Hersh has a Master’s in Planning from New York University and an undergraduate degree in Urban Affairs from City University of New York. Mr. Hersh is a full member of the American Institute of Certified Planners and Urban Land Institute, and is a Certified Environmental Planner.